Notes: Day of publication from the weekly schedule (but see the note for the magazine). 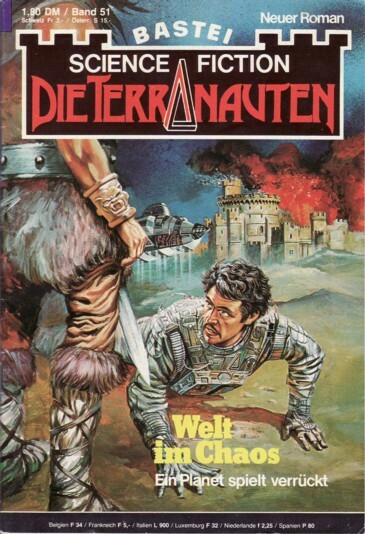 'Aus der Welt der Terranauten' takes only one page. On p. 65 is a preview for the next issue. Pp. 2 and 66-68 are ad pages (also, a small ad on p. 49 lists five Bastei Lübbe books of the 'same month', which are known to have been published in January). There's no credit for the cover art and no visible signature.